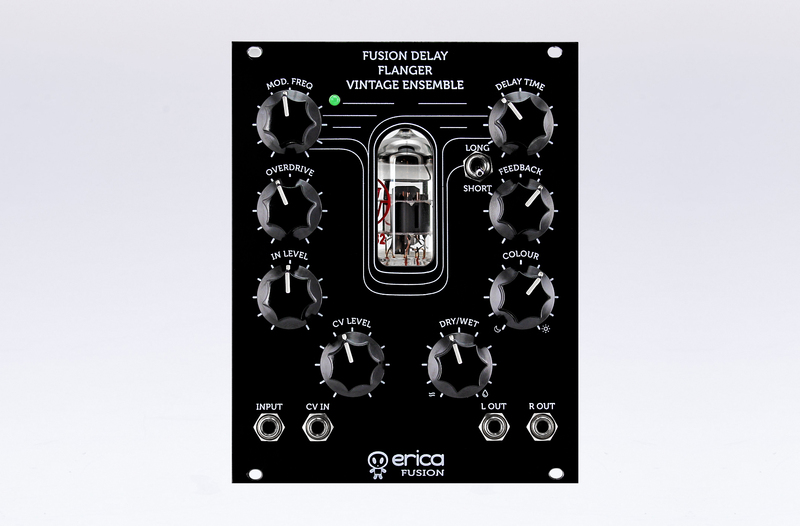 Erica Synths Fusion Delay/Flanger/Vintage Ensemble module is a distinct multifunctional analogue effects module that combines BBD chip based effects with an adjustable tube overdrive in the delay output and a feedback path for extra thickness of the sound. For more flexibility lowpass filtering is fully adjustable from none to extreme. 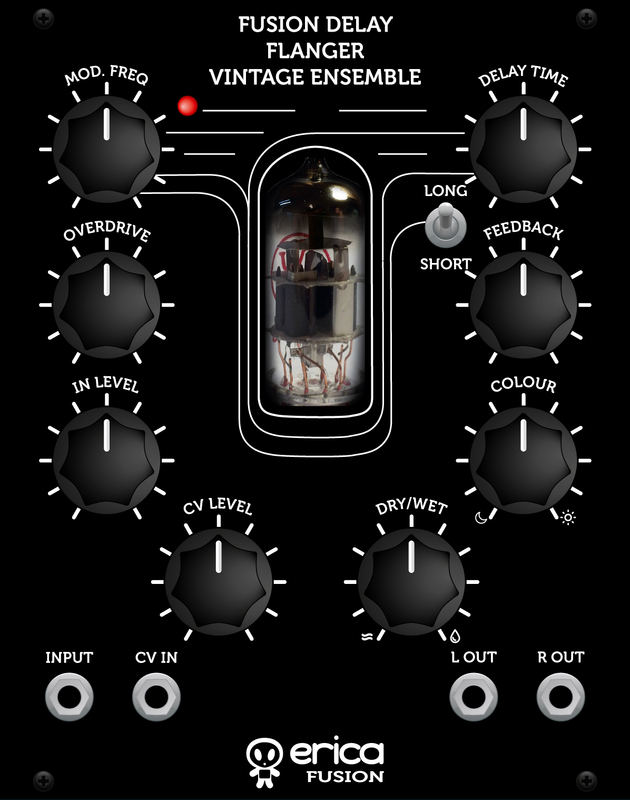 A special feature, not found in eurorack, is the Vintage Stereo Ensemble – an effect that’s common on vintage synthesizers to create a moving and thick spatial sound from a monaural tone generator, be it FM, DCO or any other kind. Such a spatial effect is achieved by mixing dry source with delayed and lowpass filtered out of phase signal. Due to the fact that cold tube heaters have lower resistance, Fusion modules have significant power consumption peak at startup, when power consumption almost doubles for 1-2 seconds. This is not a problem with linear PSUs that have power inertia, but may cause switching PSU internal protection turn off the power supply. 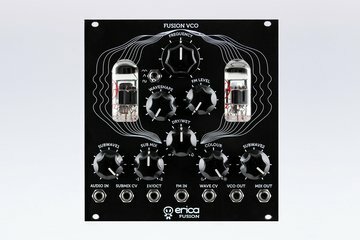 Please make sure your PSU has some headroom before installing multiple Fusion modules. 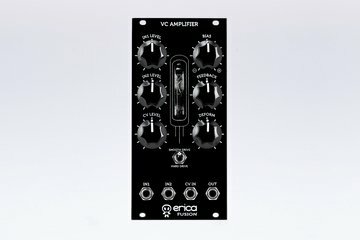 Erica Synths Fusion VCO is a special kind of VCO – it fuses the great tuning of a digital VCO with the warm and unique sound of vacuum tubes that work in suboscillator circuit. 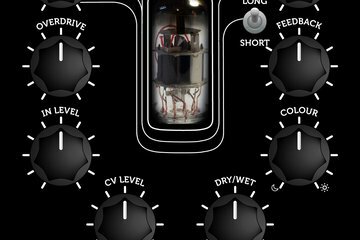 The core of Fusion VCA is a Russian miniature pentode 1Ж24B with power consumption comparable to an LED. 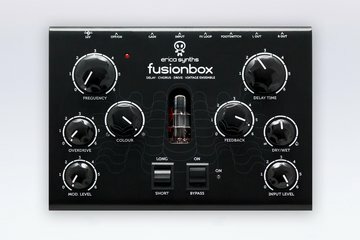 Erica Synths Fusionbox is a distinct multifunctional analogue effects unit that combines BBD chip based effects – delay, flanger, chorus – with tube overdrive in the delay output and feedback path for extra thickness of sound.